Created in 2006 to provide a funding vehicle for various Economic Development activities in the Washington County area of Ohio. The Riverfront Library Association Endowment Fund was established in 2007 to provide financial support for library services to the riverfront communities of Monroe County, Ohio through the Dally Memorial Library located in Sardis, Ohio. To provide funding for activities and operations of The Right Path of Washington County. "I love what I do because I know that it is making a difference in the lives of our youth. We have so many great kids and if we can make things better for even one, it is worth it!" An endowment fund necessary to sustain and enhance the objectives of the O'Neill Senior Center in offering programs and facilities that create opportunities for older adults. "For many years, we struggled with the idea of starting an endowment fund. How do you get started? How will we manage the fund? What costs are involved? MCF answered all of our questions. They made opening an endowed fund easy. In addition, we have the added benefit of experienced managers at little to no cost. MCF is known and trusted in our community, an asset that has helped us tremendously when approaching potential donors." Established in 2007 by members of the organization to provide a vehicle for the funding of athletic activities in Washington County. Established in 2006 to support the continuation of the Marietta Soccer League as directed by its elected board. Provides financial resources to the Rowing & Cycling Club and its projects. Established in 2008 to increase awareness of and enhance wildlife habitat in and around Marietta. The Marietta High School Alumni Foundation Fund was established to support the activities of the MHS Alumni Foundation. 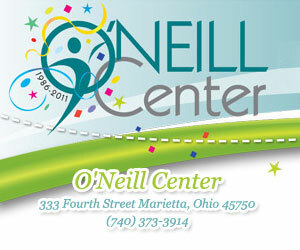 Established in 2007 to provide a funding vehicle for operation of the Marietta Franciscan Community Meals Program. Established to provide for the future construction and renovation of the facilities of the Marietta Family YMCA. Established to provide a permanent source of financial support for the development, growth and continuing operations of the Marietta Family YMCA. Provides financial support for the instrumental music department in Marietta City Schools. Established to benefit the Humane Society of the Ohio Valley. Established in 2003 to provide a reliable source of financial support for the development, growth and continuing operations of the Humane Society of the Ohio Valley, Inc. Established to provide funding to support, but is not limited to, improving camp facilities, administrative costs, and developing and implementing programming for 4-H youth at Hervida 4-H Camp, Waterford, Ohio. Established to provide funding and support to the Harmar Community Center. Established as an endowment fund for Caring Connection. Established to provide a reliable source of financial support for the development, growth and continuing operations of the Washington County Public Library. Established in 2011 to provide support to the Friends of the Museums, Inc.